The Access is the only wheelchair accessible walk in bathtub on the market today. 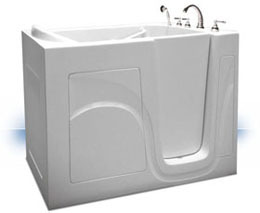 Simply roll up to the walk in tub, open the door and slide onto the seat. All control are within easy reach. 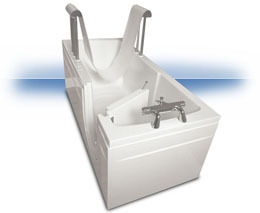 An aluminum safety grab bar is conveniently mounted in the interior of the tub. Quick draining system. Yes, you do have room for a walk in tub! 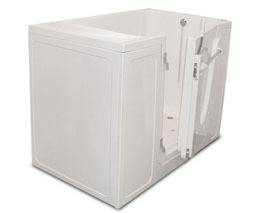 The Cube fits into a standard shower stall space. 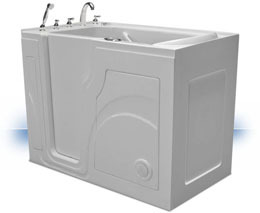 It comes with 12 optional air whirlpool jets for a heavenly bath. Comes standard with slip resistant floor and a built in seat. The benefits of calling Independent Home Products, LLC to manufacture and install your walk in bathtub are many! Our bathroom safety experts are well versed in outfitting your bathroom with the latest and safest equipment on the market today. 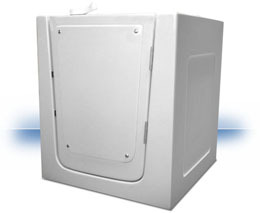 Our walk in tubs allow for safe, independent bathing and waterproof, easy to use doors. 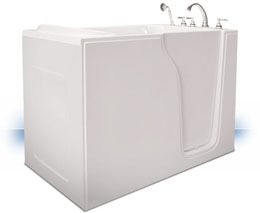 Reduce the potential for falls during entering and exiting the tub. 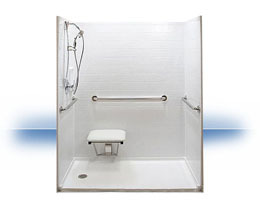 Independent Home Products, LLC walk in tubs are perfect for folks with limited mobility or those in a wheelchair. 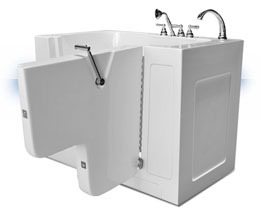 Let Independent Home Products, LLC help to improve your quality of life and keep you bathing independently in your own home with a walk in tub. Call today for a free quote at (262) 226-2036.